Copper Brass Alloys Leaded Copper Pipe Fittings, Copper Alloy Wire/Leaded Copper Wire, Leaded High Conductivity Copper, Leaded Copper Rod, Copper Brass Alloys Leaded Copper Pipe Fittings, Manufacturer, Suppliers, Exporters, Mumbai, India. UNS C18700 leaded copper alloys are primary alloys that can be spot welded and seam welded to achieve hardness and electrical conductivity of 96% IACS. These alloys can be heat treated and cold worked. They are suitable for applications, which require high mechanical properties and deformation resistance at high temperature. 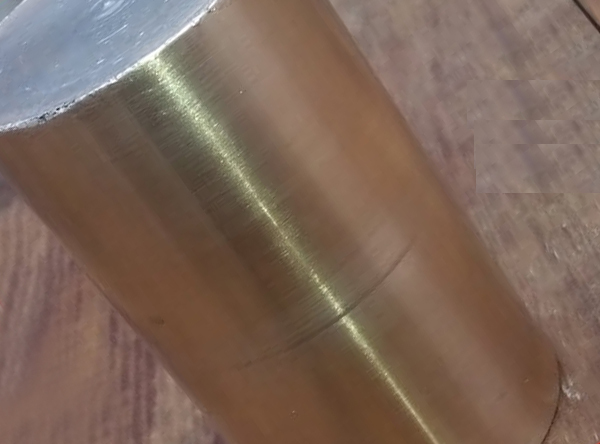 Lead is added to many copper alloys, making all types of free machining alloys. Lead does not affect the structure and properties of copper because it is practically insoluble in solid copper. The pure copper solidifies first, leaving the lead to solidify last as almost pure lead globules at the grain boundaries or in the inter dendritic regions. The size and concentration of lead particles depends upon the concentration of lead in the alloy. Leaded coppers are categorized as low lead alloys, or free machining alloys and high lead alloys. In the free machining alloys, the lead acts as chip breaker and lubricant making these alloys easier to machine than their non leaded counter parts. The high leaded copper alloys are used in bearing applications. In the bearing materials, the lead acts as a solid lubricant and the copper is the load bearing support. Lead is added to many of the copper alloys producing free machining brasses, bronzes and other copper alloys. The free machining brasses and other alloys are presented in the sections with the specific alloy types. The cast, high leaded copper alloys used for bearings are presented in this section. They are designated by UNS C98200 through C98840. The microstructure of the as cast copper lead alloys consists of pure alpha copper dendrites, with lead globules in the boundaries between the dendrites. The higher the lead content of the alloy the more lead globules present in the structure. In the wrought structures, the lead is present as discrete particles between the alpha copper grains.